....I want it to be Monday. Reviews for KishiRyuuOh have been quite strong from what I'm reading. Not really surprise has KishiRyuuOh is amazing looking mecha. Huh, for some reason i thought KishiRyuuOh had sound. who is voicing the brace and sword sounds? Tomokazu Seki, the narrator and voice of all the toys in Gokaiger. It’d be a little hard to do sounds with the way Tyramigo has to work. You’re sacrificing that for playability. The RyusouChanger has the mecha sounds, similar to the ZyuOhChanger. You know... I’m perfectly fine with a simplistic Changer. It seems real weird that the changer seems to have very little sounds. Guess I’m gonna have to buy the sword for any real functionality with the RyuSouls. ...And that means that Bandai's plan has succeeded. Definitely simple, but it does have some sounds. 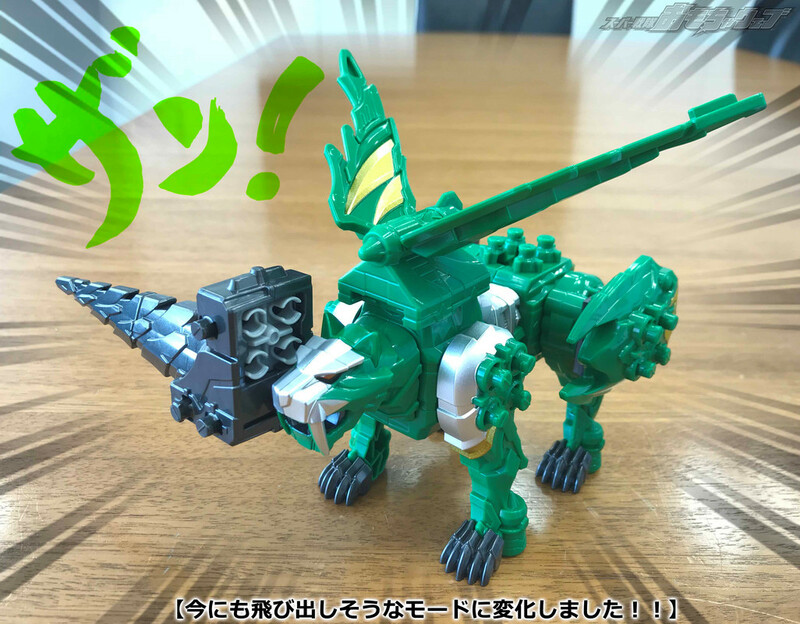 We know that DX MosaRex (KishiRyu Series 07) releases in June. I think the changer has more sounds than it appear. One review showed that if you turn the cover around enough times you get a different sound from the normal "ringtone" one. There's definitely hidden sounds, and it will also contain all mecha sounds, apparently. The sword has the bulk of the sounds though. There's still supposed to be a set that's one box with all five, right? I'm holding off for now even though I like what I see to get it all in one package. Yup! Releases in April. We don't have any details on it yet though, outside of it comes with all 5, and that Five Knights is the next main formation.